Airwaves ’14 – Day 1. Boy Wonder. I spent most of the set either peering round the doorway of Kex, jammed in like an Icelandic mackerel, but Kiasmos are the first big deal of Airwaves. The side project and dance outlet of Ólafur Arnalds and Janus Rasmussen provides a platform for both lads to show what can be achieved by pairing intelligence and dance music. That, and Ólafur really knows how to work his iPad. They produce amazing intricate yet easily danceable music that has everyone bobbing their head. Excluding me of course, I don’t have room. Axel Flóvent from the distant northern fishing outpost of Húsavík looks like a lost Mumford & Son, complete with checked shirt, braces and battered shoes. He sings like one too, belting out his own brand of modern folk, and accompanied by a maudlin violin. He is at a Lucky Records, which is apt. Halfway through, something wonderful happens:several Icelandic families with young children arrive. The children sit on the floor at Axel’s feet. Like the rest of us they are in awe of his clear talent. At only 19, he is one to watch. In every sense. It’s back to Kex for Soléy, who provides a short, but wonderful set of four entirely new songs. Picking up where her first album left off, the songs have the signature Soléy traits—the sampling, krútt vocals and sparse keyboard but are now accompanied by outlandish stories of one-eyed women and people being buried alive in Brazil. No, really. In addition, her band now bolsters her sound, providing a richness that counteracts her lo-fi tendencies. Beautiful stuff. Later on, Mr. Silla performs at Harpa alone for the first three songs, save for a box of electronic wizardry, and in darkness except for a dim purple haze. The effect is extraordinary, with all senses focusing on her voice. The trio of songs all have electronica running through them, which makes the fourth—‘One Step’—a raw, simple ballad performed with her guitarist surprisingly beautiful. We’re back to the electronics for the remainder of the set, but they are catchy as hell. Really good stuff from Sigurlaug Gísladóttir who has spent far too long in the shadows of others. Kippi Kaninus is next up. Essentially a sound system of seven, with added trumpets and trombone, they fail to impress. Six of them are playing along with a man and his laptop. They are fine, but that’s about it. The star of the night is Ásgeir. He plays at one of the Harpa venues that is already suffering from the effects of overcrowding. I haven’t seen him in a while, and he’s come a long, long way since I saw him perform in a bar one afternoon at Airwaves ’12. The album has gone global, in no small way due to John Grant, awards have been won and Ásgeir has graced stages the world over. It shows. 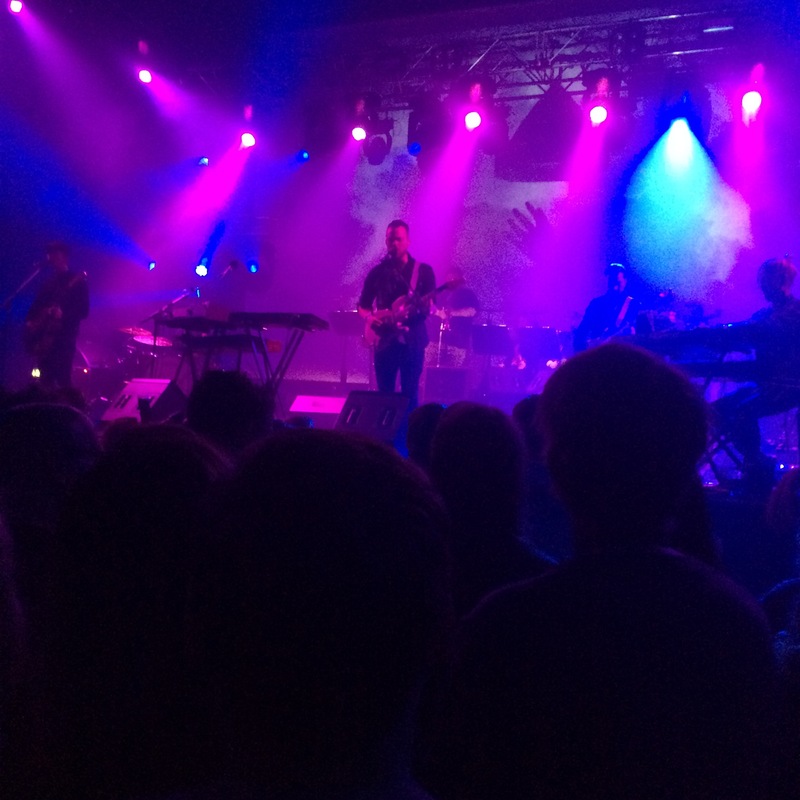 Accompanied by a full string and brass section, and his band, Ásgeir assumes the position of quiet confidence. He lets the songs speak for themselves. Anything from In The Silence/Dýrð í dauðaþögn sounds sublime played out in such widescreen settings, with King & Cross and Torrent being taken to particularly new heights. All songs are performed in Icelandic. A couple of new songs are thrown in for good measure. Homecoming hero Ásgeir never says more that a rushed ‘takk fyrir’ but has the wry smile of someone who knows they are onto to something good. It’s wonderful and I can’t help think that I’ve seen the best performance of the festival already, on the first night. I think about catching the next plane home. I don’t, of course, and catch some of Lay Low’s blues next door instead. It’s fine, and I’m a huge fan of a Lay Low but this doesn’t exactly set the world alight. She is, unfortunately, too much in the shadow of what’s just happened, and performing to an unforgiving large, square box, rather than an atmospheric smoky bar where she would be much more suited. I settle on stuffing a pylsur in my mouth, look at the queues for Ghostdigital and FM Belfast in disdain, and decide that I’ll head back for the night. I’m safe in the knowledge that I’ve already seen Airwaves best performance of the year. Maybe. Originally published by Iceland Review online.